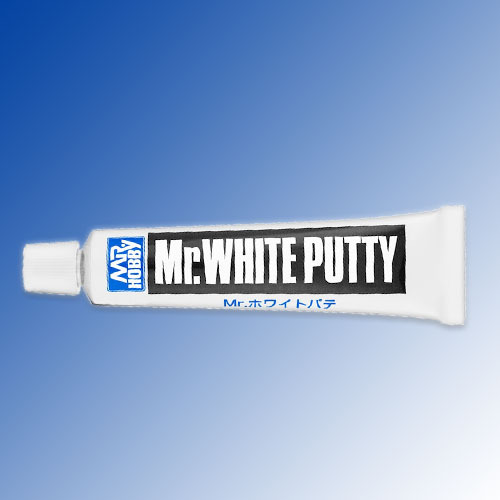 Mr White Putty - standard white putty for bigger gaps. Can be diluted with either Mr Thinner or Mr Levelling Thinner. Apply as needed and sand once dry. Process can be repeated until you're happy with the results. Alternatively you can use Mr Surfacer 500, 1000 or 1200 for the final coat. Dries quickly, especially if applied in thin layers, to a hard easy to sand finish.